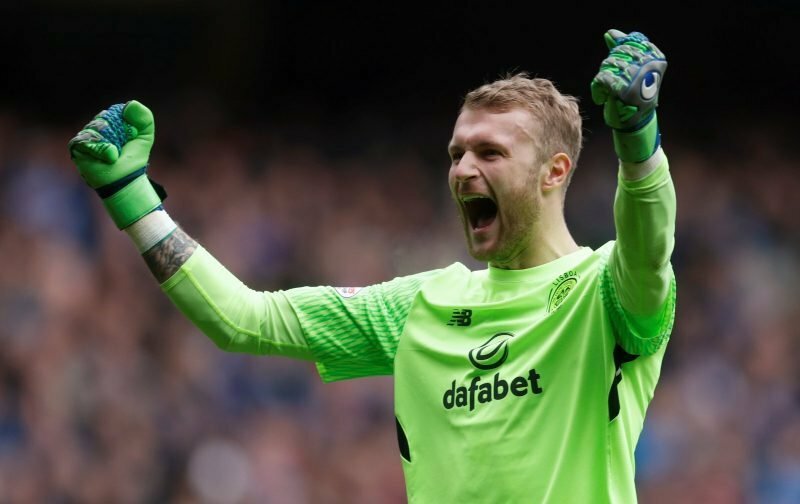 Scott Bain will put thoughts of the Scottish Cup on hold as he switches focus to clinching the SPFL title. The keeper enjoyed a straightforward clean sheet at Hampden on Sunday as Celtic swept Aberdeen aside to book a place in the final of the Scottish Cup against Hearts next month. A maximum of four points are required to secure the SPFL title with Sunday’s trip to face Hibs the first opportunity to claim some of those points. Eighteen months ago Bain was an outcast at Dundee but after making his Celtic debut at Ibrox and lifting the Betfred Cup in December he has been first choice keeper since the turn of the year. As well as a different playing style a different mentality and outlook is required to succeed at Celtic with the keeper well aware that a cup final place will be forgotten about when the first whistle blows at Easter Road on Sunday. “Being at a club like this, with these types of players, you’re buzzing after a result like this and then when we get off the pitch it’s a case of, we go again,” Bain told the Celtic website. “We can’t celebrate too much, though. We want to enjoy this moment but the focus now goes to wrapping up the league and after that we can focus on the cup final. Between Dundee and Celtic Bain spent a short time on loan at Hibs but fortunately never played a game which allowed him to move to Glasgow when Craig Gordon got injured last January.